The Las Vegas News Bureau brought Las Vegas to the world. Their only job was to promote the town and they did a fine job of it, especially in the early days of Vegas. This photo was likely taken in the late 50's as a set-up to send around the world on the UPI and AP wire. 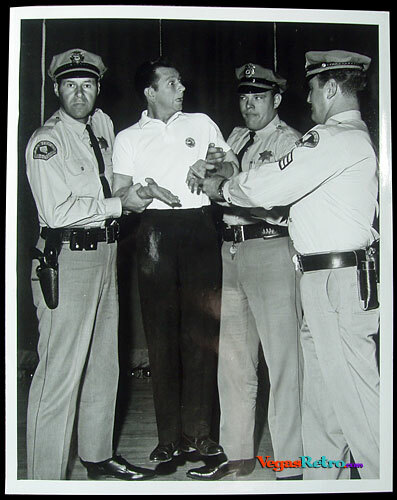 Don't know the story, but it probably carried a caption about Donald O'Connor being caught in the "act" by Las Vegas police. This 7x9' glossy print is in excellent shape.